A mass of people relocate during summers but you definitely need to keep certain things in mind while relocating. The scorching Sun over your head will add on to the stress of moving and double the efforts and time needed to relocate to your new dwelling place. 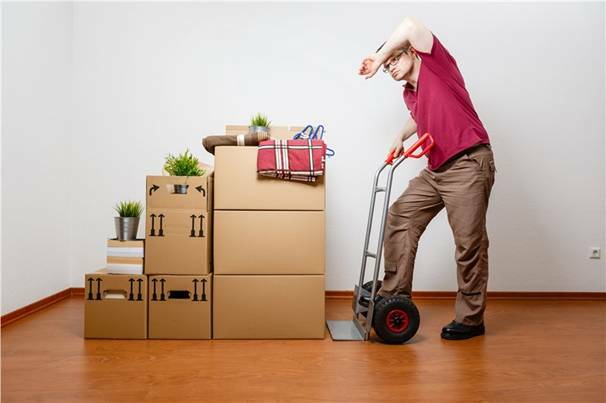 No matter what mode of relocation you are choosing; hiring a Packers Movers company of taking up a DIY move, you need to follow some tips carefully to avoid that extra mess that may arise while relocating during summer. Here are some basic that must be followed while relocating during summers…..
You must not forget that starting it earlier is the key to making it perfect for distressing yourself during the move. And, when its summer season, definitely you are going to feel little more stressful, so it is important that you start the preparations earlier. Being organized will make your mind clear and you can easily concentrate on other aspects to help yourself while relocating in summers. It’s better to pen down your plan and everything that you need to do and also the person who will be responsible to do the task. And, of you have hired a moving company; you must not interfere with their work and let them handle the work as their plan. Refrain from making your plan because that will only lead to creating extra mess. It is very important to keep yourself hydrated during the move or you may get trapped by stroke! Don’t ever underestimate the physical stress that may always be caused while relocating during summers. You must not forget to keep some water bottles ready with you wherever you will go!! If possible keep with yourself a small handbag that you can comfortably hang in your hands and keep your water bottle inside it all the time. It is very important to take care that whatever you are going to wear on the day of move is lightweight, is made of breathable fabric like linen or cotton and is loose fitting. These kinds of clothes will help in absorbing moisture and sweat and thus keeping you dry all through the move. Never wear clothes made with synthetic fabric like polyester or rayon. Also, it is important to choose the colour adroitly; wear only light coloured clothes, white specifically is perfect. Stay away from dark colors and specifically black as they are known to absorb heat. If you are relocating during summers, it’s quite significant that you keep your summer accessories ready on the day of move. Wear Sunglasses to keep your eyes protected from Sun! And, never forget to keep ready a summer hat for the day of relocation as that will protect your face from that direct exposure from Sun. Before you get out in summer one of the most important things to do is dousing yourself in Sunscreen. You can perfectly go for using its spray form or lotion but make sure that you have used it over hands, feet, shoulders, legs, neck, arms and face completely. You should use a Sunscreen which has an SPF of 30 and more and also it should be water resistant. For complete protection, apply it 15 minutes before going outside and keep applying it after every two hours. Make sure that not all your belongings can withstand that extreme heat in hot moving truck for a long period of time. Keep all those items which are prone to melting separately and pack these items separately including electronic items. You must get these items into an air-conditioned room as soon as possible. It may be that air-conditions will not be running well on the moving day and therefore it is important that you keep along some portable fans to. If you cannot make for fans run on electricity, you can go for battery operated fans. Using cold towels on hand can be one of the best ideas to beat the sun during summers! You can fill your cooler with lots of ice and then keep the towel inside for hours. Use this towel to keep yourself cool. Know that getting exposed to excessive heat can be quite dangerous! Generally illness due to heat comes with symptoms like headache, dizziness, fainting, temperature, nausea, muscle cramp, confusion and seizure. If you find any of these symptoms you must immediately drink lots of water, take shower or dab yourself with wet towel. In case something does not go as has been planned just take a moment to calm yourself. At the end, it is all about how much you are calm to handle the stress. The key to successful summer relocation is making the preparations in advance and making sure that no roadblocks in the way makes you feel shaken up.